While zebras living on the African Savannah have to worry about attacks from lions and cheetahs, your child can take it pretty easy wearing this Zebra Costume. 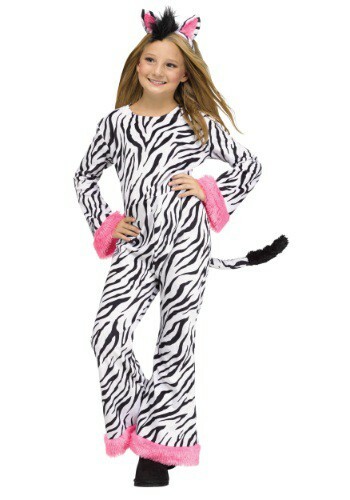 They'll look cool in the signature zebra stripes and this costume is pretty darn cozy to boot. 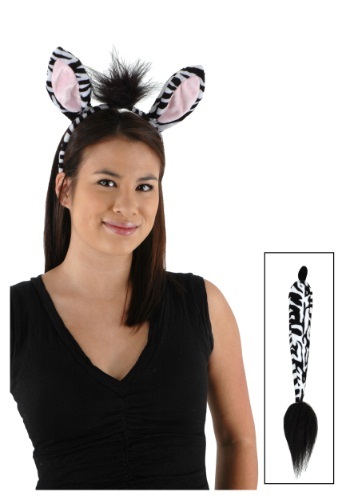 Check out our other animal costumes and you can have an entire zoo themed party! 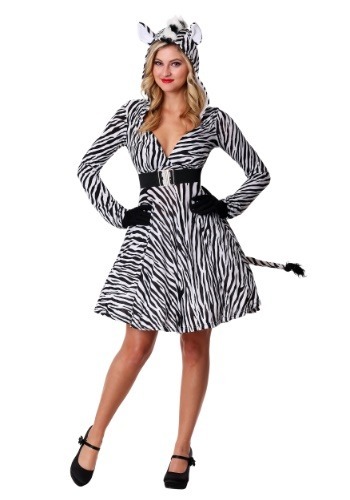 This girl's Zebra Diva costume has a wild look that will make your girl ready for a safari! If you're not quite ready to book airfare to Africa, you can bring the wild times to your living room with this adorable look. It's perfect for any party or pageant! Zebra me maybe! 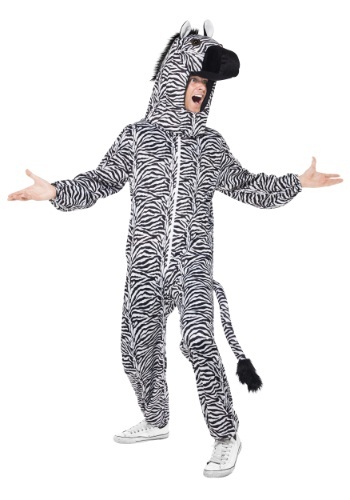 If you like to hit the dance floor in stripes, you'll love this exclusive Zebra costume. You'll be able to use all of your favorite dance moves, and you'll look right at home in the club or out in the grassy plains. Just watch out for those leopards, lions, and cheetahs. We know they're deadly out on the savanna, but they're even more ferocious in the city! Do you dream of galloping through the plains alongside various equestrian creatures, while avoiding predators? Then we have to inform you that this Tribal Zebra Face Temporary Tattoo does not actually turn you into an animal. It does give you some wild stripe, which depending on how you use them can make you look like a wild animal, or a tribal warrior! Start practicing your gallop! You'll look like one of the distinctly striped horses that live in the African deserts when you wear this Wild Zebra Bodysuit Costume. Just pick up a pair of the fuzzy black leg warmers to complete this wild look! Did you know that zebras are the most stylish animal in the African Savanna? 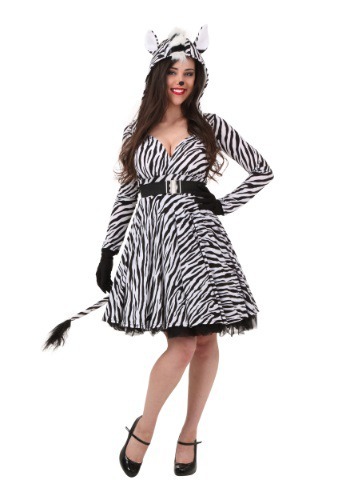 They're stripes are always perfect and they're mane is stylishly coiffed, so it's really no surprise to us why you chose this Women's Zebra Costume! Zebras are your spirit animal and you're proudly displaying it. Remember, people are going to be using their binoculars to see YOU when they're out on their safari trek. Can you really blame them? It's not everyday they see a zebra as stylish as you. Permanent marker is NOT a viable option for trying to give yourself some wicked zebra stripes. We've tried it and there's a very good reason they call them permanent markers. Had we known about this Animal Instincts makeup kit, which includes makeup that washes with soap and water, we could have saved ourselves a whole lot of trouble. The good news is, we learn from our mistakes and we're passing on this lesson to you by offering you this zebra kit! The bad news is, we're still trying to figure out how to get permanent marker off of our face. When you're out in the African jungle you're going to want to blend in with the zebras. Because once you're in with their crowd you'll be one of the coolest people ever! But to do it easily you'll need this great pair of shades. You'll be one with the zebras and be able to keep the sun out of your eyes. To some, running wild means going to a party and dancing on tables until the break of dawn. To us, running wild means galloping across the plains of Africa with a bunch of other animals that share your penchant for grazing, galloping and avoiding lions. We think the stripes on this zebra costume might help you avoid your natural predators and you can herd with the rest of your pals. And remember, always zig-zag when trying to avoid a lion. They never see it coming! If we knew how to make a zebra sound, we would. 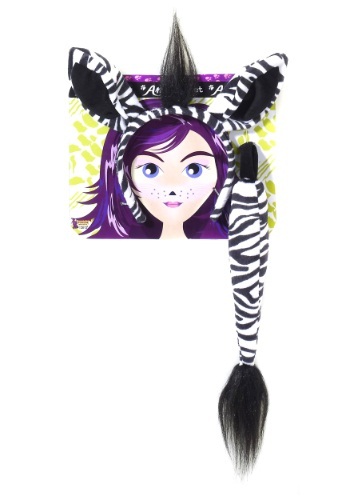 We'll leave that to you once your in this Zebra Ears and Tail Kit. It's the only way to be an authentic jungle creature! Although you could go galloping across the open plains with all your zebra friends while wearing this tail and ears set, we think it's a lot better use of this accessory to turn a party into a wild safari. Besides, how many zebra friends do you have living in the savannah. Do you dream of running free across the plains with a wild herd of beautiful ponies? How do you feel about zebras? They're like regular horses, but they have awesome stripes and this mask perfectly recreates the look of one. You could even book a flight to Africa to hang out with all the other zebras of the savannah. We mustache you to place your hands in the air then slowly raise them to your face. If you’re not wearing a pair of Zebra Sun-staches, go out and get a pair today.